Productiv bridges the gap between small enterprises developing leading edge low carbon technology and large vehicle manufacturers. Countless small UK enterprises, often the product of university research teams or motorsport, are prototyping remarkable low carbon technologies with the potential to transform the vehicles of tomorrow and enable manufacturers to meet stringent EU demands. These enterprises rarely have the capability to manufacture their solutions to the necessary volume, quality or cost. Productiv bridges the gap between a great technology and the ability to manufacture it in its thousands for integration by large vehicle manufacturers. 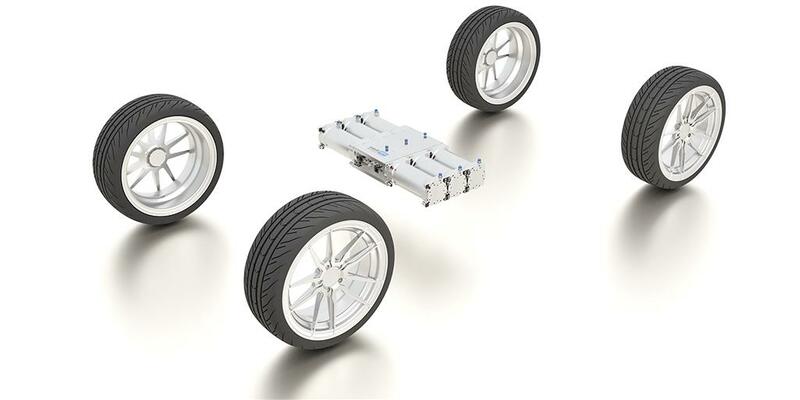 By providing technical, production and commercial development, we deliver the economies of scale the automotive industry needs at the low volumes necessary initially, enabling vehicle manufacturers and other Original Equipment Manufacturers (OEMs) to access new technology from outside the established supply chain. Productiv is an active member of the UK Automotive Council (Technology and Supply Chain groups). Ashley has gained valuable experience in a variety of industries including manufacturing, oil and gas, pharmaceutical, power generation, steel and other industrial sectors. He enjoys a challenge and is happy working at the ‘sharp end’ of industry which, he tells us, is why he is at Productiv! When not in the office he seeks high performance activities such as participating in motorsport, and relaxes by playing golf and spending time with friends and family in his native Wales. Anand is a keen protagonist of ‘disruptive innovation’ and has spent much of his career encouraging others to break their mental models in order to generate radical ideas and solve ‘seemingly impossible’ problems. When not challenging the norm he spends his time bringing up two young children, which normally involves dressing up in Disney costumes. Tom has over 25 years’ experience in the automotive industry, including the development of market entry strategies for automotive innovations, analysis of markets, and development of engine sub-systems for the world’s largest vehicle manufacturer. All this has given Tom a very strong footing in both mechanical and electrical engineering, business administration, project management and product strategy planning. In his spare time Tom can be found on a bicycle, or with his family. As a good problem solver and communicator, Ben is well placed to advance himself through our Graduate Programme. Having gained his degree in Aerospace Engineering from Teesside University, Ben is keen to put his experience of involvement in electric vehicle endurance racing as a student to use in his role at Productiv. Once being fit enough to complete the Duke of Edinburgh Gold Award, Ben’s active nature is now mostly confined to the badminton court. Jonathan has both creative and practical sides gained from a history in Motorsport, Events Management and Marketing. This helps him bring an innovative and organisational approach to his role at Productiv. He likes to spend his free time in the countryside, and dissuading people from sitting on his 1980’s Golf GTi. During a graduate degree in agricultural engineering, with an attainment award to boot, James spent a year gaining knowledge in engines, hydraulics and electrics at a tractor dealership. When not playing the guitar or banging the drums, James is pouring all of his money into a project car. Growing up on a farm has led Alastair to attaining a degree in agricultural engineering. With a year out at an agricultural machinery manufacturer, Alastair gained experience in product development to production lines, and apparently the best place for Cornish pasties. A keen interest and clear skill in clay pigeon shooting is giving Alastair the target of competing at the 2020 Olympics. Keith is a qualified electrician and a highly practical optimist who is keen to learn and develop new skills. Prior to Productiv, Keith was self-employed, which gave him the ultimate incentive to get things right first time. He has three sons and is a keen runner with two half marathons under his belt. He also enjoys music, but is strictly a spectator as he admits to having no rhythm or timing, and is tone deaf. A founding member of Productiv, Richard has over twenty years’ experience in the automotive industry and is heavily involved in helping to shape the direction of British engineering through his work at the Automotive Council and SMMT. At home he maintains a menagerie including three pigs, two cows, a flock of sheep and three sons. Mike’s extensive experience at Aston Martin Lagonda, Prodrive and Jaguar Land Rover means he is very well suited to his role as Lead Technician at Productiv. Out of the office Mike likes to bring a little calm to the lives of others by creating Zen gardens, and has fun inspiring his children to develop their creativity. Narinder has extensive global sourcing experience in the aerospace and automotive industries with castings, machined parts and commodities at well-known companies such as JLR, Haldex and Meggit Control Systems. His achievements have prepared him for his ambition to develop a sustainable supply chain and make his contribution to Productiv becoming a recognized centre of excellence in the industry. In his spare time Narinder keeps himself busy managing the family business with his brother and following Formula 1 racing. Nick manages the financial aspects of Productiv and also serves as the team’s chief voice of Common Sense. Having helped build several successful businesses himself, and with the experience as an investment banker involved at the early stages of many other businesses, he ensures that Productiv can grow quickly and sustainably. As administrator of Productiv’s Coventry office, Pat makes sure that the team can operate at their fullest, keeping the facility safe and secure. Outside the office, she enjoys gardening, Sudoku and Nordic walking. We're more than an incubator: we help #cleantech to fly. Visit us in the @ProvingFactory to see how we can take your #technology to the next level. 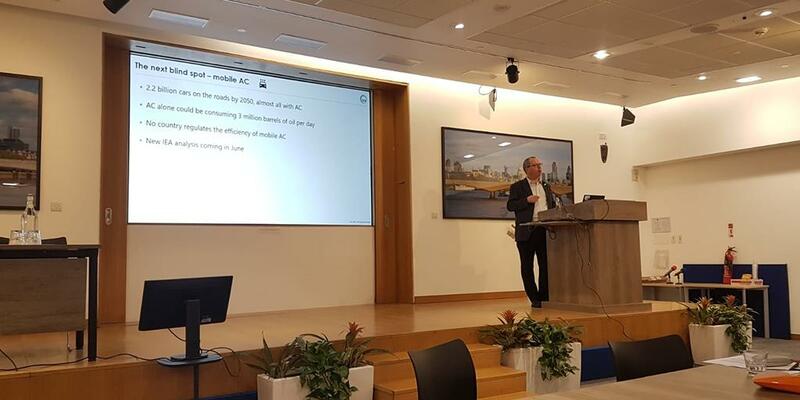 CEO @rbruges enjoyed being part of the #SustainableCoolingCongress yesterday – lots of interesting statistics discussed, demonstrating that the cooling problem is very broad. Thanks for having us @BEISgovuk. Productiv aims to become the global leader in bringing low carbon technologies to market. We have created a working environment that encourages all company members to take responsibility for quality, health, safety and environmental performance. Our Business Management Systems policy is our commitment to deliver this aim.